This journey of ours all began in Palm Springs — we bought and renovated our motorhome here, so we can't help but feel a particular belonging in this wonderful place. However, since we spent the first two weeks of our travels, renovating from sunrise to sunset, we were not able to see Palm Springs for all its beauty. After our motorhome had started to feel like a home, we took off on the road, but vowed to venture back to this desert oasis, so that we can experience it for all that it has to offer. 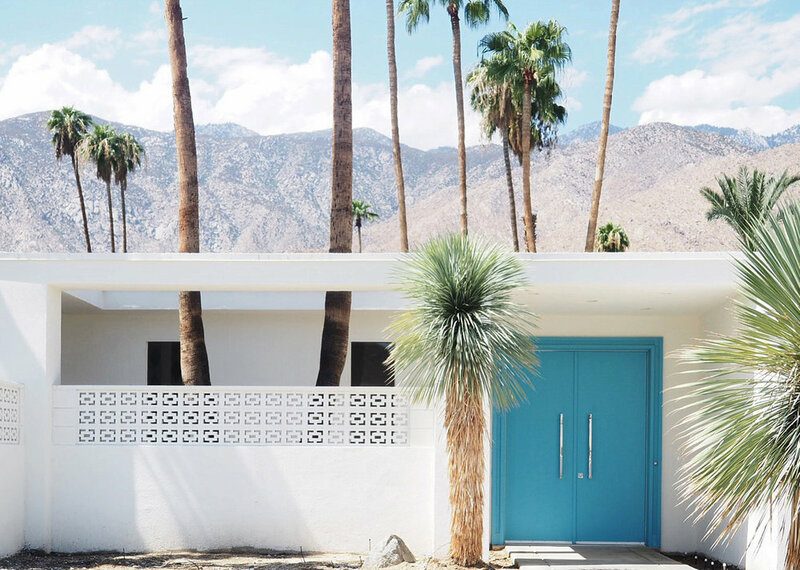 This time around and out of the renovating fog, I quickly fell in love with Palm Springs for its classic architecture. There are pockets of streets with mid-centuy mod homes, all sporting a different brightly coloured door. Many of the homes have towering palm trees lurking in the background, along with the desert putting on a delightful show. 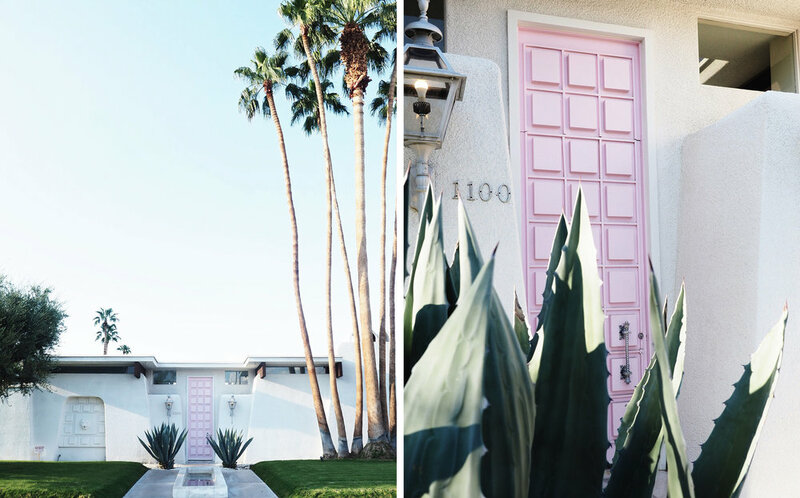 A favourite of mine would be none other than the Pinterest-famous pink door, which is so loved, it has it's own Instagram hashtag. 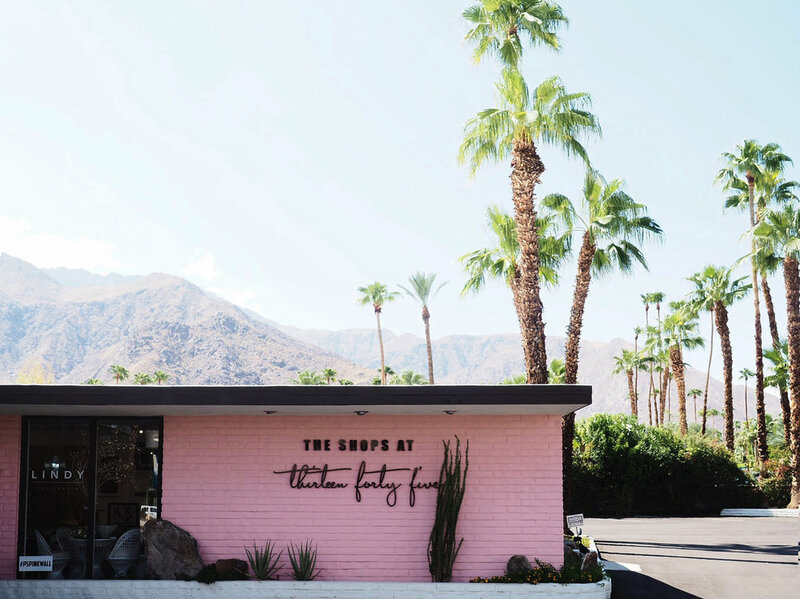 The colourful display doesn't just stop at houses either, there are many shopfronts throughout Palm Springs that also shine brightly. Take The Shops At Thirteen Forty Five for example, where the building's brick wall has been painted... you guessed it, pink. Inside there are various vendors offering up beautiful homewares, clothing and artwork. 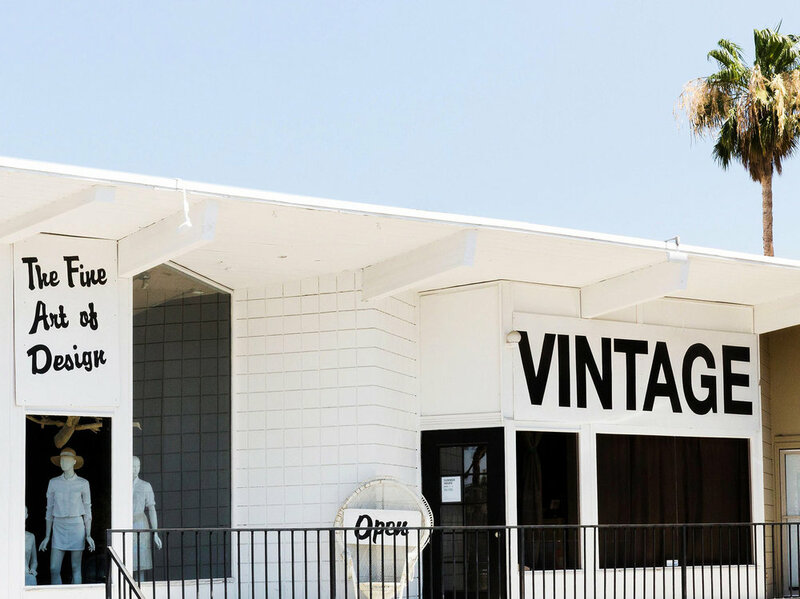 Vintage shopping is also on the forefront, with the likes of The Frippery and The Five Art of Design, selling carefully curated vintage clothing. 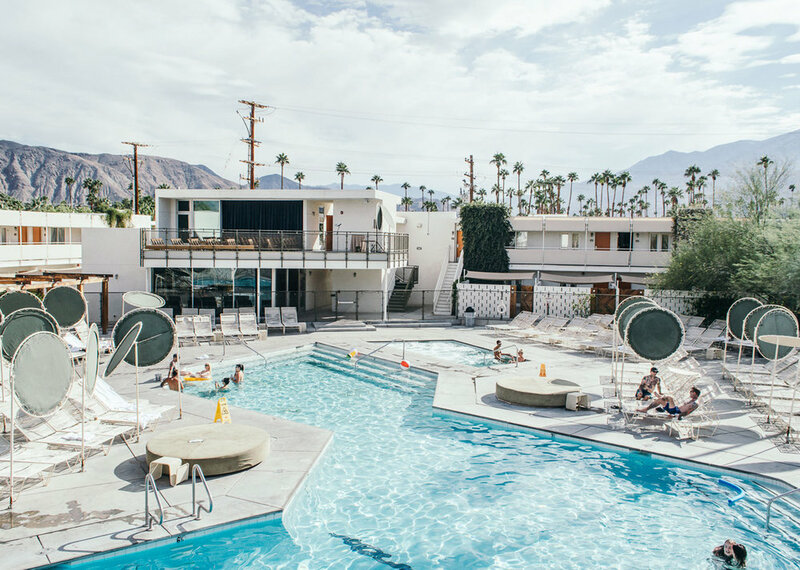 And then there's The Ace Hotel, a place that has become somewhat of a legend in Palm Springs, and rightfully so. Before buying our motorhome, we booked a few night's stay here during our first visit to kick back and really enjoy ourselves before committing to tiny home living. 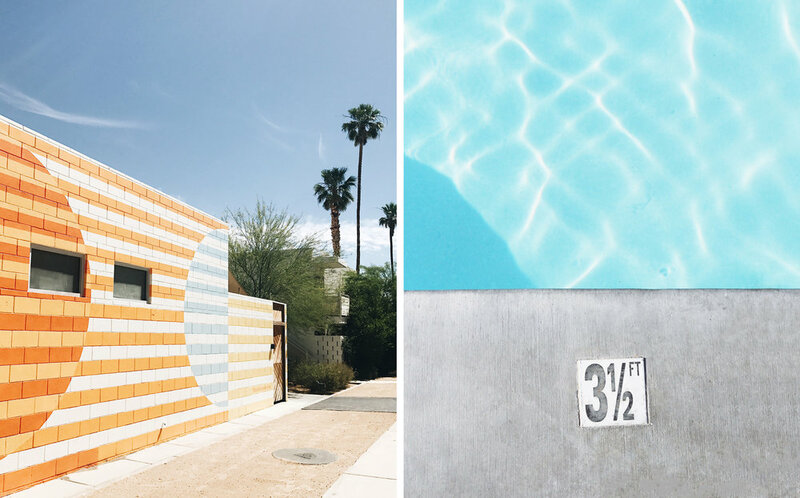 The pool is a great place to cool off from the intense desert heat, there are vintage signs all around that add to the nostalgic days of Palm Springs, and the laid-back vibe really adds to its charm. On our return, we made sure to pay The Ace another visit. The last place we stopped on our way out of Palm Springs was the Moorten Botanical Garden. I’ve been to my fair share of gardens and nurseries, but there was something about this one that was truly magical. During our visit, we got talking to the owner, who’s parents opened it up more than seven decades ago. His father who was known as 'Cactus-Slim', with his wife, created this wonderland of over 3,000 different plants. 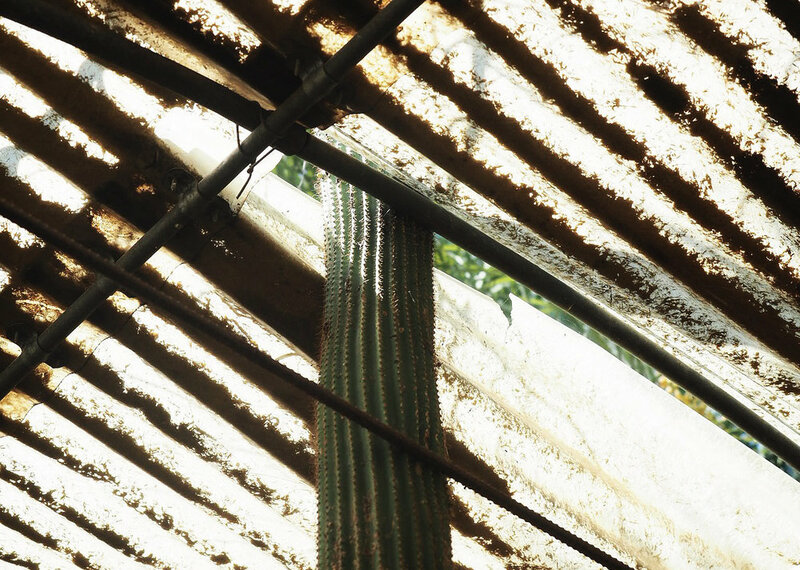 My favourite part of the garden was The Cactus Castle, a greenhouse packed with prickly plants, with some so tall they were bursting through the roof. We really could have stayed here for hours on end, but sooner or later, as always, it was time to hit the road again.